Accidents just don't happen on dry land. Some of the most devastating injuries can occur on the water, or in a boat, jet ski or sea do. Boating accidents may result in devastating personal injuries because boats are not equipped with the same safety measures as cars. There are no air bags or side safety curtains on a small water craft. The rules on the lake are very different than the rules of driving a car on the road. In addition, lakes are monitored by authorities much differently by government and by local authorities. There are no stop signs or hidden cameras on the lake to catch bad drivers or see how the accident may happen. Boats traveling at high speeds which collide with a swimmer or another vessel can cause serious injuries to driver and passenger alike. Many boating accidents occur in Ontario's cottage country, sometimes after a few hours of drinking. It's this element of impaired driving which can complicate cases. There is an element of intoxication, accident law, and insurance law. 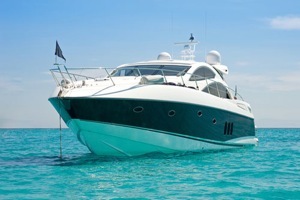 There are normally insurance coverage issues in boating accident cases. If you have been driving a boat without proper insurance, or you don't have a boating license, or you don't have proper car insurance which covers your boat, there may be issues in finding coverage for your claim. Call the personal injury lawyers of Goldfinger Law to get the answers you need to your insurance coverage issues involving your boating accident claim.With offices in Toronto, London, and Peterborough, we’re able to service clients across Ontario. There may be a variety of benefits which you ought to be receiving as a result of your boating accident. The lawyers of Goldfinger Law have the experience to handle your claims. Our lawyers have recovered millions of dollars in compensation for our clients as a result of boating accidents. Our lawyers know how to deal with recreational vehicle and boat insurers to get top results in claim arising from a boating accident. Once you have been hurt or injured in a boating accident, it's important that you get medical attention and contact police right away. The incident should be reported, and police should conduct the appropriate investigations. 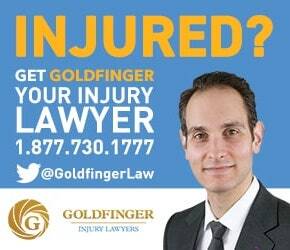 If the boating accident is not reported, this doesn't mean that the lawyers of Goldfinger Law cannot represent you. Our lawyers will be able to recover the evidence essential towards building your case. Our personal injury lawyers will also ensure that if your boat is insured, that you recover proper value back from the insurance company for the replacement value of your boat. Boating accidents may result in brain injury, broken bones, lost limbs, chronic pain, psychological disorders, post traumatic stress disorder, anxiety, depression, herniated discs or other soft tissue injuries. The injury lawyers of Goldfinger Law work with a variety of medical experts to ensure that the insurance company, the Judge and the Jury truly understand and appreciate the nexus of your pain and how it impacts your life. If you have been hurt in a boating accident and have sustained serious injuries on a canoe, sail boat, kayak, motorboat, ski boat, yacht, ski do, sea do, or any other watercraft, don't hesitate to contact Goldfinger Law for your free consultation. Don't let your limitation period expire for your case. 5.0 "I was really impressed"